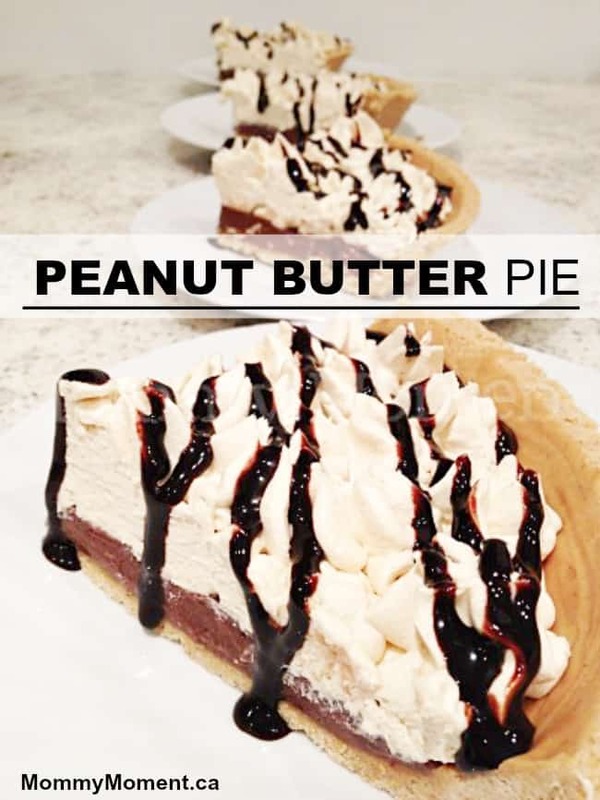 This chocolate peanut butter pie is so easy to make, and it tastes absolutely DELICIOUS!! It is rich and creamy with just the right amount of peanut-buttery goodness. Mmm. 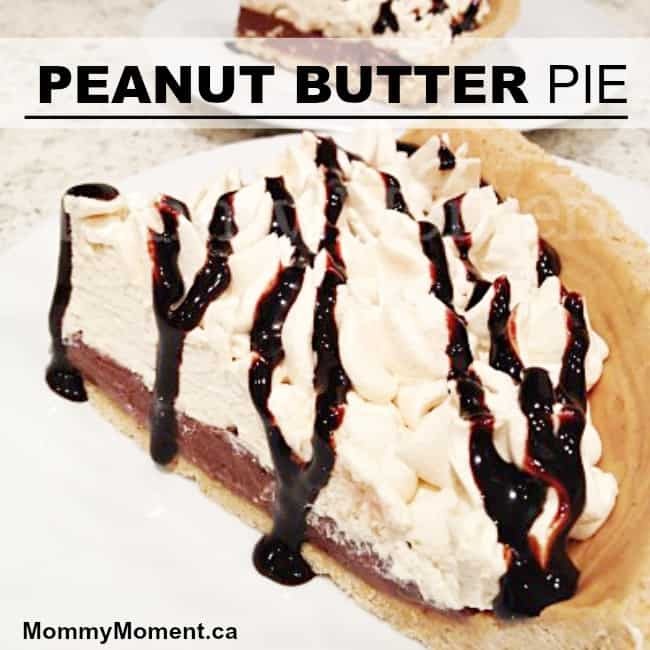 Chocolate and peanut butter make such a yummy combination. 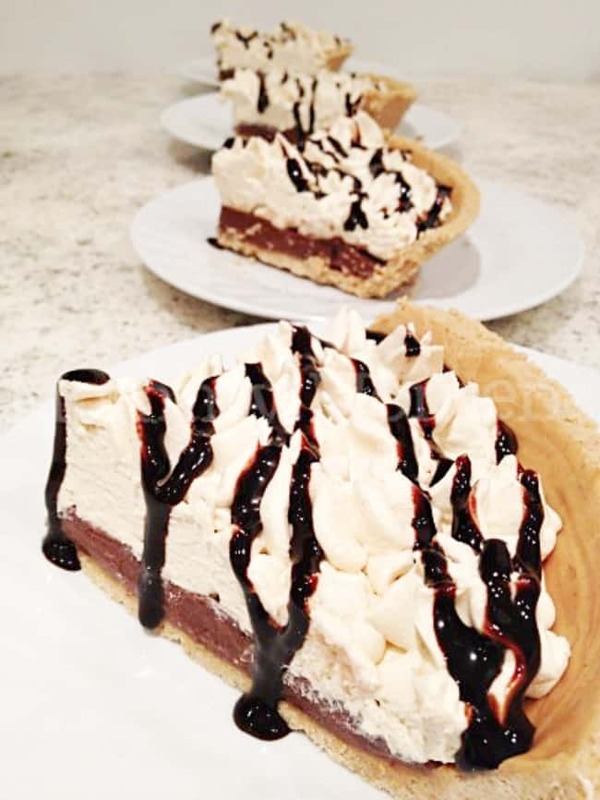 This pie, made with cooked chocolate pudding results in a creamy, scrumptious dessert that is sure to impress. Coat graham crumb crust with 2 Tbsp of the peanut butter (melt these 2 Tbsp to make it easier to spread). Pour in the cooked chocolate pudding. Cool. In electric mixer, blend the remaining peanut butter and cream cheese. Add the vanilla and cool whip and blend till smooth. Spread topping on cooled pudding layer (I used an icing bag to make it a little more pretty). Keep in fridge till ready to eat. Drizzle with chocolate syrup just before serving if desired. For an extra treat, top with reese mini peanut butter cups. Be sure to check out this Peanut Butter Smoothie….YUMMY!! Thanks! I was looking around for the recipe too after I saw the picture. It just looked so delicious. That was such a YUMMY dessert!! this looks delicious, and one that I can make for the family that they will really enjoy, but one that I will not be tempted by. because I don’t do peanut butter. I am going grocery shopping to make this next weekend! Thanks! YUM! I will definately be trying this! Pinning it to my Recipe Bucket list! Thanks for sharing! !